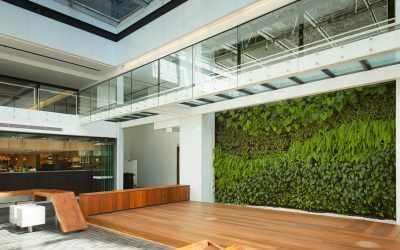 This interior vertical garden at JCY Architects provides an attractive feature wall and creates a pleasant microclimate in this busy architectural practice in East Perth. 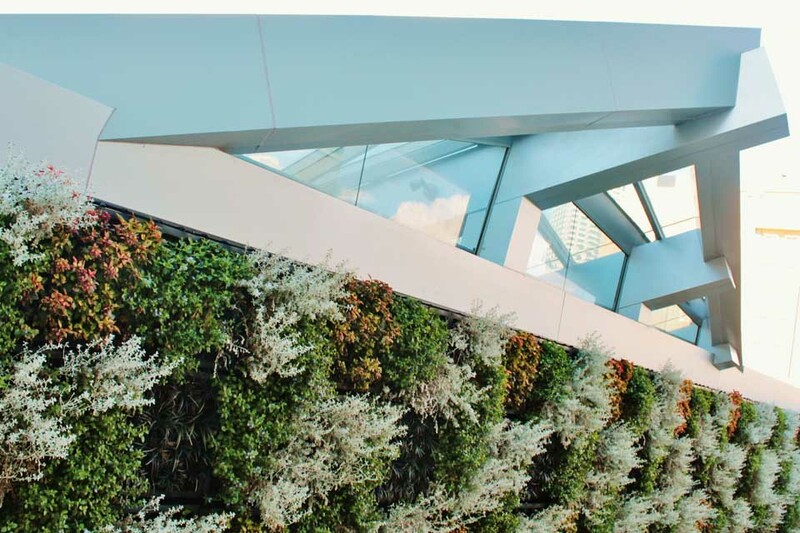 Made to measure, the vertical garden spans an angular wall space almost 5.5m across at 2.5m at is tallest point. 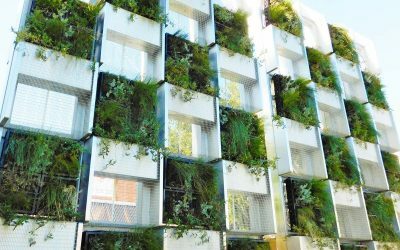 Special arrangements had to be made to accommodate drainage and irrigation in an interior setting, including a remote automated fertigation system, as well as issues with lighting, but with Deep Green’s expertise in this field, problems were addressed and the best solutions found. 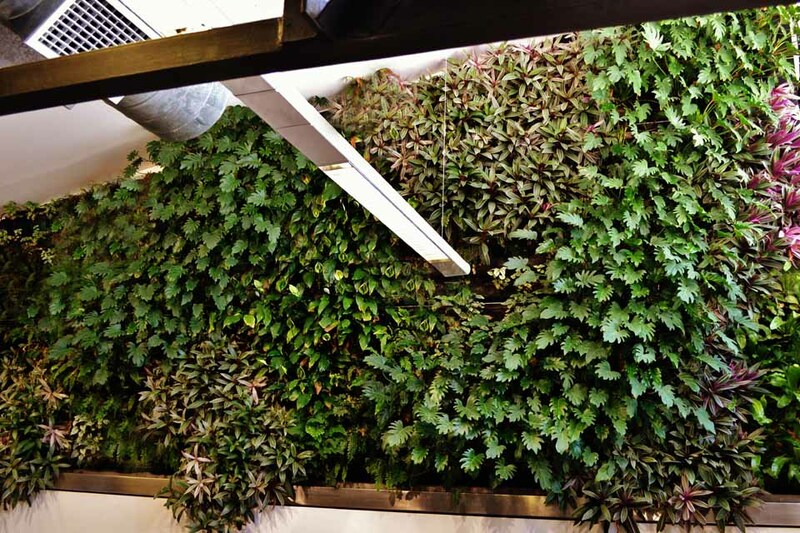 A palette of species were specially chosen to create a lush vertical garden with contrasting tones and textures. 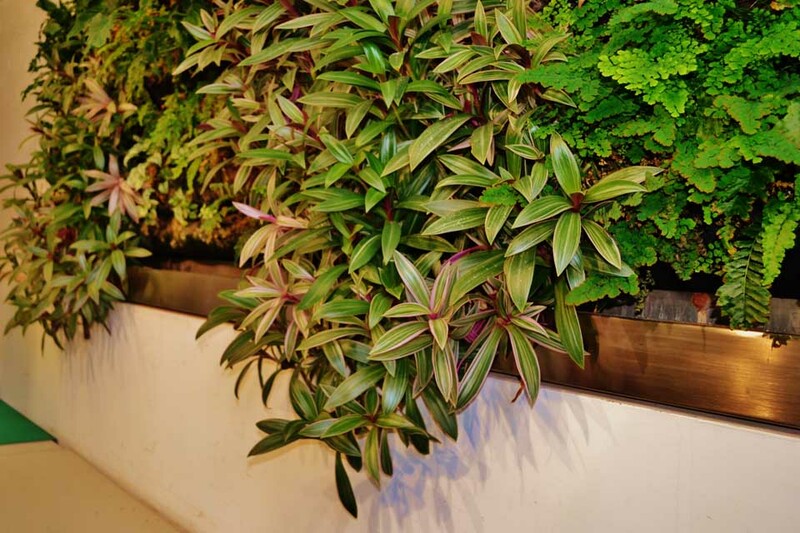 Ferns such as Asplenium, Adiantum and Davallia contrast with the bold forms of Philodendron and Rhoeo. 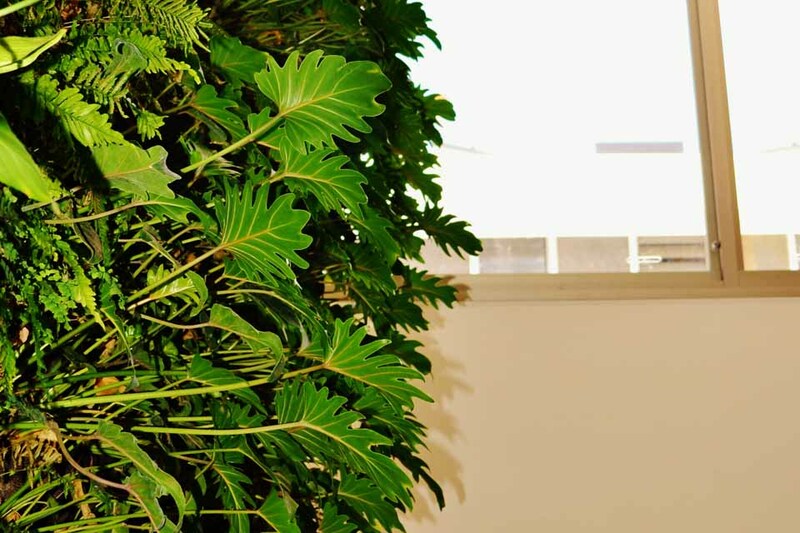 The elegant foliage and attractive white flowers of the peace lily, Spathyphyllum, compliment neighbouring species and complete the picture.